(本人姓名的拼音) is a student of our school. 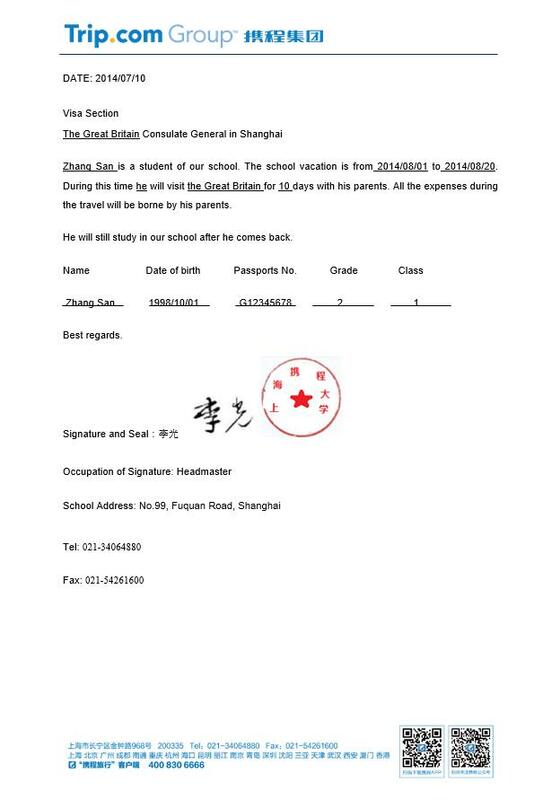 The school vacation is from （学校准假的具体开始日期）to（学校准假的具体结束日期）. During this time (本人姓名的拼音)will visit (申请签证国家英文名称) and other European Countries （如果不去其他欧洲国家请将and other European Countries删除）for （请根据外网显示的具体旅行天数填写）days with his/her mother/father/parents. All the expenses during the travel will be borne by his/her mother/father/parents. He/She will still study in our school after he/she comes back.